PGPSnippet ransomware uses sophisticated techniques to infiltrate computers and hide from its victims. Use Reimage to determine whether your system is infected and prevent the loss of your files. PGPSnippet is a ransomware virus that infects the system without permission and encrypts users' files. This malware uses specific encryption algorithm and after those files are encrypted, virus places .decodeme666@tutanota.com file extension in order to make them useless. Immediately after that, ransom message in a form of !!!README_DECRYPT!! !.txt file is placed on a computer. 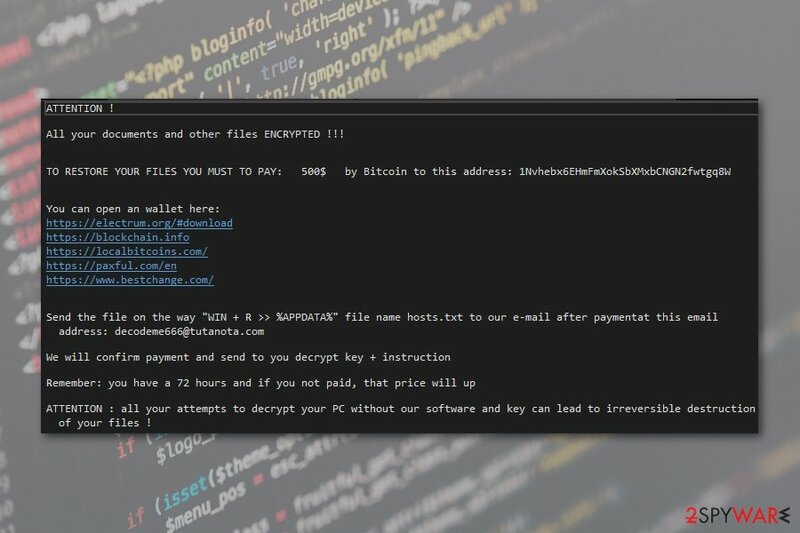 However, the newest ransomware version was noticed in June 2018. This time virus uses “digiworldhack@tutanota.com” extension and asks for 1 Bitcoin ransom. 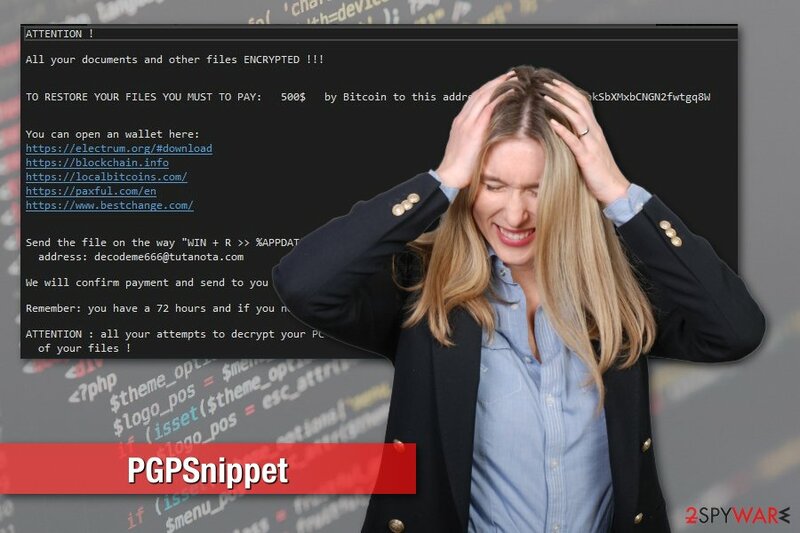 Authors of PGPSnippet virus in the ransom note state that you need to pay 500 in bitcoin so you can get decryption key and PGPSnipper removal instructions. They have stated that if you do not do as they say your files might be compromised for good and there is no way to decrypt them back. However, creators of PGPSnippet ransomware can be gone after you pay the ransom, so we do not recommend to proceed with the payments. The individual victims key might not be present to you even if you pay their asked amount. Additionally, PGPSnippet seems to be decryptable ransomware. Therefore, you should proceed with virus elimination, and try third-party recovery tools. Also, if you have backups, you should not worry about making payments and having shady deals with malware developers. 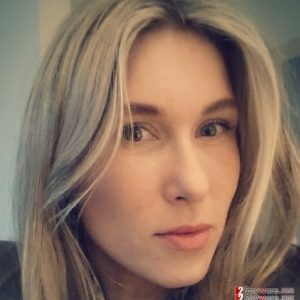 We highly recommend using Reimage or another reputable malware elimination software to remove PGPSnippet from your computer. This type of cyber threats is sophisticated. So, they might affect legit system files and install a bunch of malicious components that are hard to get rid of manually. To avoid possible damage, you need to opt for automatic malware elimination with a security program. However, the virus might prevent software installation or system scan. 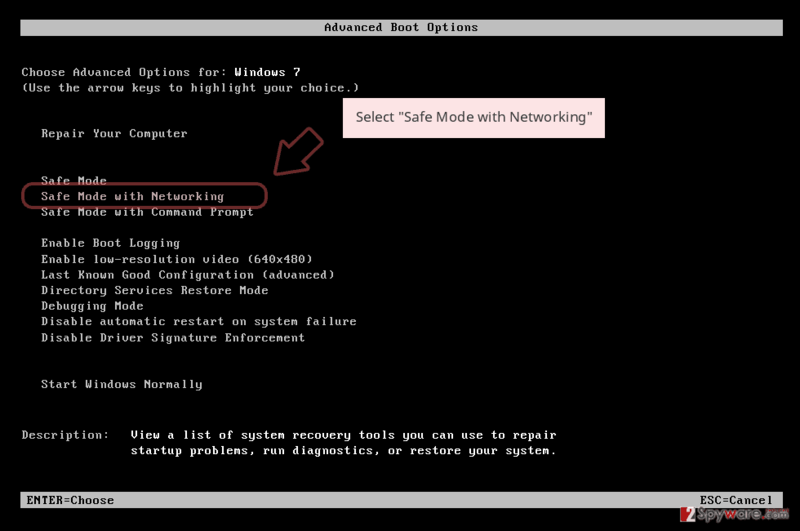 In this case, you should reboot the computer to Safe Mode with Networking. You can find the explanation below the article. Please, use it if PGPSnippet removal gets complicated. 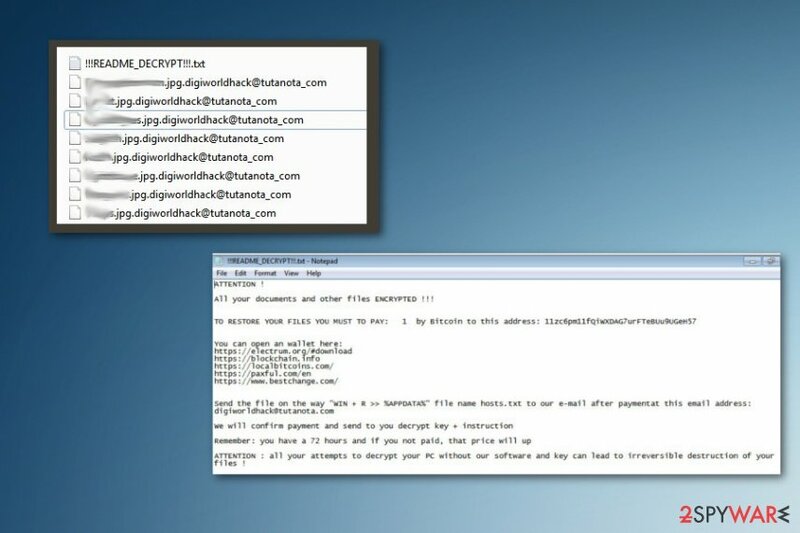 PGPSnippet ransomware is a file-encrypting virus that demands to $500 in Bitcoins. 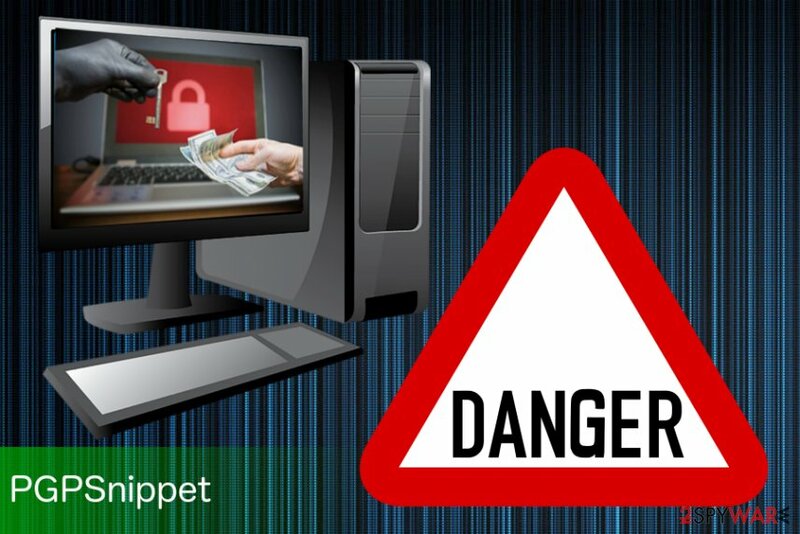 The newest version of PGPSnippet ransomware came to public in June 2018. 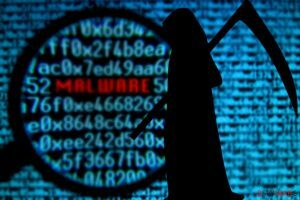 This means that ransomware developers are developing improved codes and these viruses can get more and more dangerous for the victims. However, the main features of the virus remain the same. It continues spreading via malicious spam emails and gets into the system when a user is tricked into opening an obfuscated attachment. All your documents and other files ENCRYPTED ! ! ! This version of malware increased the payment up to 1 Bitcoin which is ridiculously huge! Thus, you should not risk losing the money by contacting them via email and transferring the money. We highly recommend uninstalling PGPSnippet instead of dealing with cyber criminals. We can ensure that virus elimination won't cause more damage than following hackers' instructions. The major ransomware distribution method is spam emails. These letters typically include malicious attachments that are presented as invoices, statements or other important documents. Additionally, crooks often pretend to be representatives from well-known companies. When you open an obfuscated attachment, you trigger the installation of malware payload. 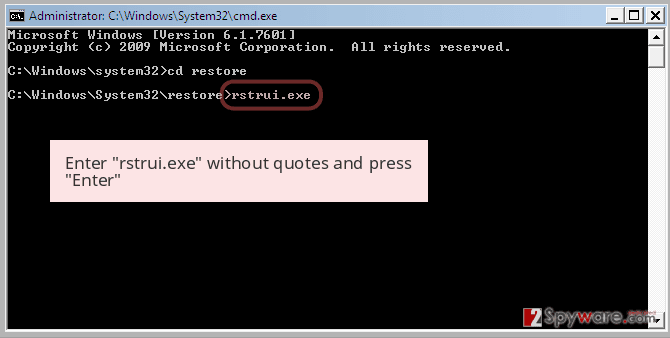 For instance, PGPSnippet downloads SETT.EXE file and immediately executes it on the affected machine. Within a short period of time, all files become encrypted. However, you have to be careful with emails in order to avoid ransomware attack. Before opening the attached document, you should look up for grammar or spelling mistakes, and check the information about the sender. If there is any suspicions delete emails without opening anything and move on from the spam email box. It is crucial to use professional programs like Reimage, Malwarebytes MalwarebytesCombo Cleaner or Plumbytes Anti-MalwareMalwarebytes Malwarebytes for proper PGPSnippet removal. However, you might need to do some additional steps when cleaning your system. There is a decryption guide below. Once you remove PGPSnippet, you can try to recover your files. If you have backups, you can plug in your external device with backups and transfer them. 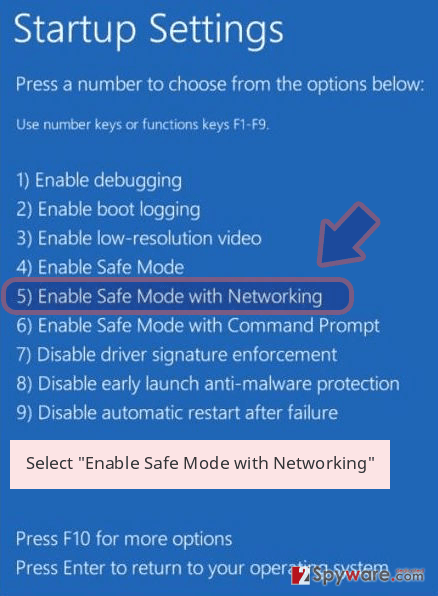 However, if you do not have them, you can try third-party tools presented below. Log in to your infected account and start the browser. Download Reimage or other legitimate anti-spyware program. Update it before a full system scan and remove malicious files that belong to your ransomware and complete PGPSnippet removal. 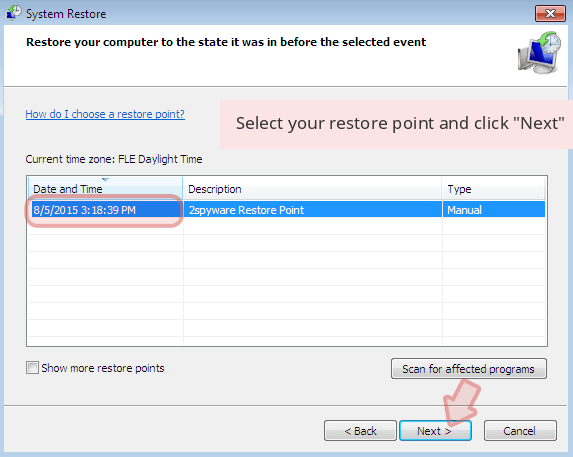 When a new window shows up, click Next and select your restore point that is prior the infiltration of PGPSnippet. After doing that, click Next. 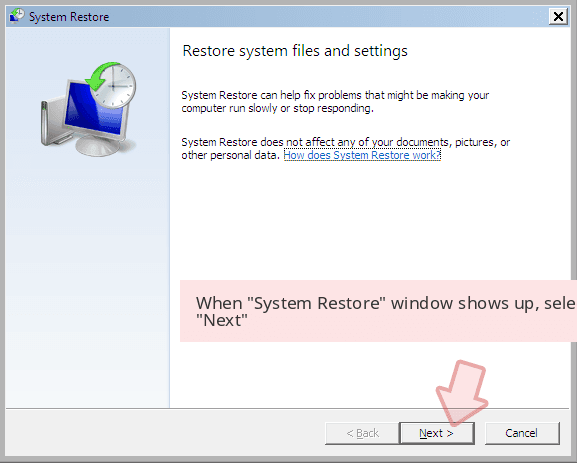 Once you restore your system to a previous date, download and scan your computer with Reimage and make sure that PGPSnippet removal is performed successfully. 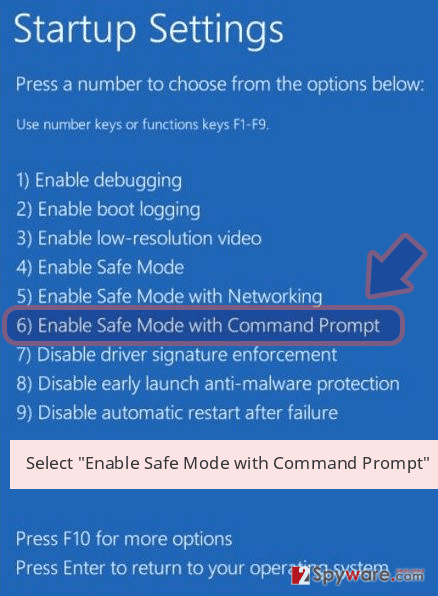 Guide which is presented above is supposed to help you remove PGPSnippet from your computer. To recover your encrypted files, we recommend using a detailed guide prepared by 2-spyware.com security experts. ^ Backdoor (computing). Wikipedia. The free encyclopedia. ^ Brute Force Attack. Technopedia. Defining the latest tech buzzwords. This entry was posted on 2018-06-12 at 08:17 and is filed under Ransomware, Viruses. You can quickly scan the QR code with your mobile device and have PGPSnippet ransomware manual removal instructions right in your pocket. 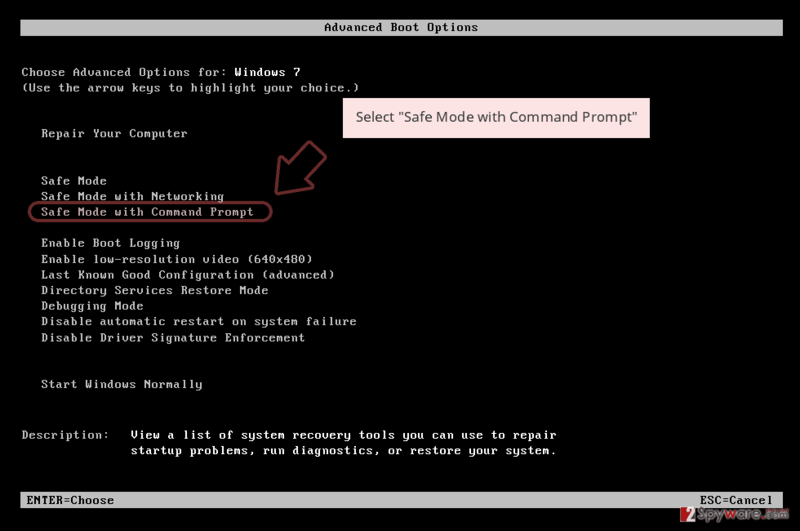 How did you remove PGPSnippet virus?